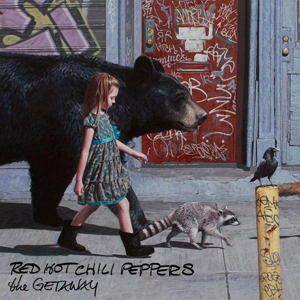 RED HOT CHILI PEPPERS Stream New Song "We Turn Red"
RED HOT CHILI PEPPERS are gearing up for the release of their new studio album, The Getaway, which is due out June 17th from Warner Bros. Records. A new track called “We Turn Red” is now streaming and you can check it out below. Fans who pre-order the album HERE will receive an instant download of "Dark Necessities". The album was produced by Danger Mouse and mixed by Nigel Godrich. RED HOT CHILI PEPPERS' last album, I'm With You, was released in 2011 and topped the charts in 18 countries.